Below you fill find all funeral homes and cemeteries in or near Galt. Galt is also known as: Sacramento County / Galt city. Their current mayor is Mayor Shaun L. Farrell, CCMT. Zip codes in the city: 95632. Sacramento County funeral flowers can be purchased from one of the local funeral shops we partner with. Some of the notable people born here have been: (ryan mattheus). It was disclosed by Sacramento Bee on November 9th, 2018 that Carole Marguerite Myrick (Laterreur) passed away in Galt, California. Ms. Myrick was 54 years old and was born in Montreal, . Send flowers to share your condolences and honor Carole Marguerite's life. It was reported by The Californian on May 27th, 2017 that Harry M Jr Garrett passed on in Galt, California. Garrett was 87 years old and was born in Kansas City, MO. Send flowers to share your condolences and honor Harry M Jr's life. It was noted on April 3rd, 2017 that William Lee "Lee" Roberts perished in Galt, California. Roberts was 79 years old and was born in Klamath Falls, OR. Send flowers to share your condolences and honor William Lee "Lee"'s life. It was written by Monterey Herald on March 11th, 2015 that Richard "Rich" Frank passed away in Galt, California. Frank was 42 years old. Send flowers to express your sorrow and honor Richard "Rich"'s life. It was written by Modesto Bee on February 11th, 2015 that Harold David Jr Mothersell passed away in Galt, California. Mothersell was 92 years old and was born in Olney Springs, CO. Send flowers to express your sorrow and honor Harold David Jr's life. It was revealed by Orange County Register on May 31st, 2014 that Harlan J Stokesbary perished in Galt, California. Stokesbary was 85 years old and was born in Aurora, NE. Send flowers to share your condolences and honor Harlan J's life. It was revealed by Galt Herald on April 9th, 2014 that Alan Ray Robbins died in Galt, California. Robbins was 67 years old. Send flowers to express your sympathy and honor Alan Ray's life. It was written by Galt Herald on April 9th, 2014 that Ramon Sotelo passed on in Galt, California. Sotelo was 80 years old. Send flowers to express your sorrow and honor Ramon's life. It was reported by Galt Herald on March 26th, 2014 that Sophie Todorvich (Ojeda) passed on in Galt, California. Ms. Todorvich was 89 years old. Send flowers to express your sorrow and honor Sophie's life. It was reported by Galt Herald on March 19th, 2014 that John William Stahr passed away in Galt, California. Stahr was 83 years old. Send flowers to share your condolences and honor John William's life. The population was 19,472 at the 2000 census. By mid-2005, according to the Census Bureau, the total number climbed to 23,173.[http://factfinder.census.gov/servlet/DTTable?_bm=y&-geo_id=16000US0628112&-ds_name=PEP_2005_EST&-_lang=en&-mt_name=PEP_2005_EST_G2005_T001]. 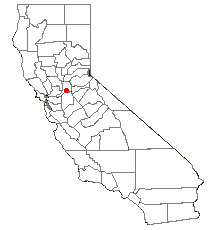 Galt is a city in Sacramento County, California County, California, United States It is part of the Sacramento, California California California Sacramento metropolitan area Statistical Area. . . The official website for the city of Galt is http://www.ci.galt.ca.us. Listing all funeral homes in Galt, California so you can easily send flowers to any location (same day delivery) or find any funeral service. Find crematories & Crematories in Galt, CA. Read business reviews, find driving directions, and more. crematories on YP.COM. Galt Funeral planning made easy! Learn how to pre-plan your funeral in Galt, California, including step-by-step directions. We work with local florists and flower shops to offer same day delivery. You will find budget sympathy flowers in Galt here. Our funeral flowers are cheap in price but not in value.